What says Spring & Summer like fluttering and dancing on the wind? 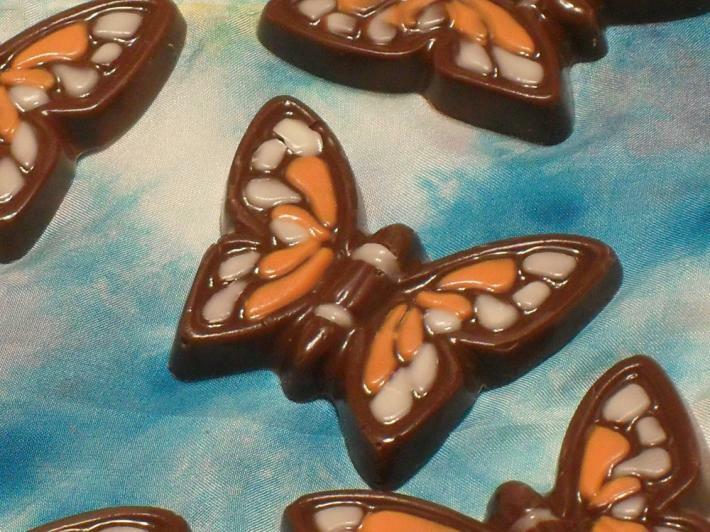 This post is for one dozen chocolate butterflies. With Valentine’s Day quickly approaching these little butterflies are the perfect little something for that special someone to say you are thinking of them. Of course no reason other than ” just because” is always a great reason to send a little something sweet to someone you are thinking of. 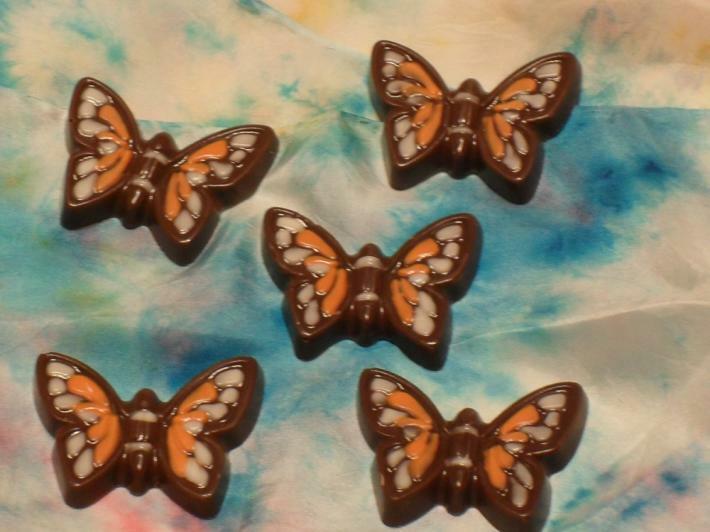 Each one is hand painted, before filling the mold with rich dark chocolate. 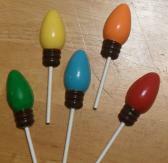 Milk chocolate can be substituted at the request of the customer at the time of ordering.